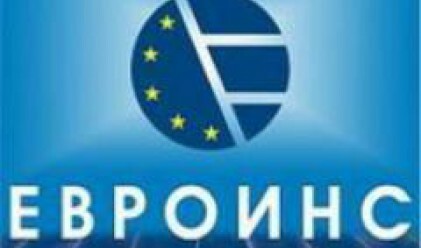 Insurer Euroins posted 66.6 mln leva (34.05 mln euros) premium income for 2007, an increase of 26.4% compared to 2006, the audited financial report of the company shows. The net profit of the company totaled 5.4 mln leva (2.76 mln euros) in 2007, compared to 4.2 mln leva (2.14 mln euros) profit booked for the previous year. The claims paid by Euroins last year came to 20.5 mln leva (10.48 mln euros). Euroins forecasts that the general insurance market will generate 1.3 bln leva (664.6 mln euros) gross premium income for 2007, which means that the company occupied 5.2% of the market as at the end of last year. Euroins' premium income from financial insurance policies rose nearly two-fold from 1.5 mln leva (7.66 mln euros) in 2006 to 2.9 mln leva (1.48 mln euros) as at the end of 2007, marking the largest increase in the portfolio of the company. The premium income from Motor Casco insurance totaled 29.7 mln leva (15.18 mln euros) for 2007, up 46.3% year on year. The company generated 1.3 mln leva (664,700 euros) premium income from agriculture insurance policies last year, marking a 41.4% increase on 2006. The premium income from Property and Cargo insurance rose 26-27% last year. The third party motor liability (civil liability) insurance policies generated 22.7 mln leva (11.6 mln leva) premium income for 2007, up by nearly 24% year on year. Euroins' share of the domestic market is expected to grow to 5.5% in 2008 and to 6.5% in 2010, the company said three weeks ago at a meeting with investors. The insurer forecasts 88 mln leva (45 mln euros) premium income and 5.8 mln leva (2.96 mln euros) net profit for 2008. The issued capital of the company stood at 21.4 mln leva (10.9 mln euros) as at the end of 2007, a 26-percent year on year increase. The net and insurance reserves of the insurer rose nearly two-fold to 24.6 mln leva (12.57 mln euros) as at the end of 2007, compared to 13.4 mln leva (6.85 mln euros) in 2006.